The Alexandria Police have caught the Wachovia Robber, according to their Facebook Page (now there’s a line I thought I’d never write.) After a 10:30am robbery of the branch on King Street in the Bradlee Center, a large police search took place, which included lockdowns at Frances Hammond Middle School, T.C. Williams High School Minnie Howard Campus, and T.C. Williams High School. 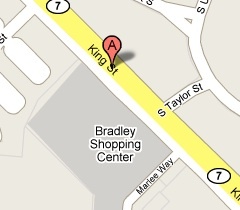 Tweets indicated odd activity in the Bradlee center area, and it seems that the robber was caught shortly thereafter. Crazy to see stuff like this go down in the neighborhood just next to mine! Glad they’ve got a suspect in custody.